Here it is at last -- the practical, hands-on guidance you need to convert the theory of Financial Astrology into practical, profitable ways of making money in the markets! In this six-volume DVD series, Tim Bost, editor of FinancialCyclesWeekly.com and author of "Gann Secrets Revealed" and "Mercury, Money and the Markets", takes you step-by-step through the complete process of creating and executing a comprehensive astro-trading plan. Along the way, he explores some of market astrology's richest treasures, shares dozens of useful tips for improving your market analysis and trading results, and provides market-tested solutions to the most pressing astro-trading challenges that can get in the way of your personal success. 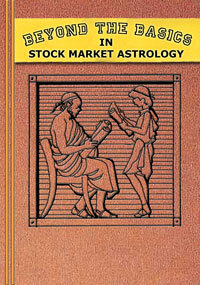 "Beyond the Basics in Stock Market Astrology" is a potent experience that will entertain and delight you as it puts you on the launching pad to financial security, market expertise, and astro-trading adventure! On Disc One of this exciting series, you'll encounter the power of the Trading Triad, explore the geometry of planetary actions, learn the critical 80/20 rule for successful trading, and much, much more! Disc Two of this powerful series unlocks the secrets of planetary harmonics and the Law of Vibration, reveals the hidden money dynamics in horoscopes, and discusses strategies for enhancing your personal wealth. It's packed with information you can use right away! On Disc Three of this extraordinary astro-trading experience, you'll see how the horoscopes of countries, leaders, stock exchanges and more all connect to create remarkable trading opportunities. You'll explore incorporation and first-trade dynamics, key trading signals, and more! Disc Four of this dynamic series opens up the inner workings of planetary price lines, time-frame analysis, the astrology of geopolitical market influences, integrative analysis strategies, and much, much more! Disc Five of this power-packed series focuses on price and time resonance, back-testing strategies, finding successful trade set-ups, and filtering out market noise. It's loaded with specific insights that can sharpen your trading edge! The powerful discussions on Disc Six of this ground-breaking series include the principles of profitable stock selection, the use of Transneptunian factors in astro-trading, astrological strategies for entering trades, and a special astro-trading strategy for extra profits during earning season! Don't miss this amazing program!